Part of the TCL TV 2018 line-up, the TCL 6-Series 4K Roku TV is, ostensibly, the best budget TV coming out in 2018. TCL has finally announced the specs, pricing and release date of the 55R617 and 65R617, and they’re far and away some of the best value-per-dollar screens we’re likely to see in 2018. The 55R617, for example, will boast 96 Contrast Control Zones (up from 72 on the TCL 55P607 that we saw in 2017), in addition to Dolby Vision and HDR10 support. It will pack HDR Pro Gamma - a technology that helps the TV retain its HDR looks while in a bright environment - and TCL’s Wide Color with NBP Photon technology that uses high-output LEDs with precision phosphors to deliver a more saturated image. The kicker? The 55-inch TV will come in at just $649. The other model in the 6-Series is the larger 65-inch TCL 65R617. It will offer the same HDR Pro Gamma, Wide Color with NBP Photon and Dolby Vision support as the smaller 55R617, but bumps the number of Contrast Control Zones to 120. The 65-inch TCL 65617 will come at just under $1,000. 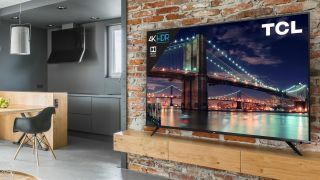 If you missed reading our review of the TCL 55P607, the predecessor to the 6-Series that came out in 2017, it was one of our favorite budget TVs of the year - which bodes well for the 6-Series that uses the vast majority of the same specs and components as the P607. The differences between last year’s model and this year’s model comes down to the number of control zones and the aesthetic appearance of the TV. The price point, however, remains exactly where it was a year ago. The TCL 6-Series is available to pre-order starting today, and will be available to buy starting on May 1.